I have a collection to share with you today from LevelUP Lacquer. LevelUP Lacquer was formerly Daring Digits back in 2012, but recently rebranded and opened back up after a long distance move. LevelUP Lacquer is inspired by all things nerdy TV shows, movies, and video games! The Loot Collection is inspired by the loot color system of your favorite MMO. 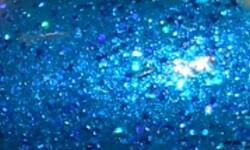 Rare is a blue jelly base with blue shimmer and blue holo glitter. 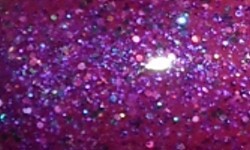 Epic is purple jelly base with purple and purple holo glitters. 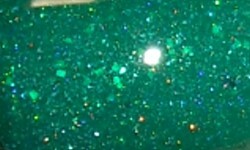 Uncommon is a green jelly base with green shimmer and green glitter. Vendor Trash is a mix of grey, silver, and white glitters in a clear base. Colors: I love these colors! 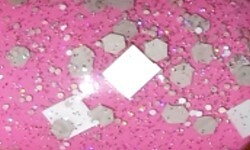 I love seeing some monochromatic jelly glitters as I don't see them often. I love the jewel-toned shades of Rare, Epic, and Uncommon. I seek out jewel-toned colors this time of year and these shades are rich and vibrant. Formula: I used 3 coats on Rare, Epic, and Uncommon and 1 coat over a base with Vendor Trash. I thought the formulas on Rare, Uncommon, and Vendor Trash were excellent, smooth, and easy to use. Epic had a sheerer and thicker base than the other 3 polishes. It was still manageable to apply, but didn't apply as easily as the others. Price: The entire collection is available for $35 and individually they are $9.25. You can purchase these on LevelUP Lacquer's site. LevelUP Lacquer currently ships to the USA for $4 flat rate and to Canada for $8 flat rate. 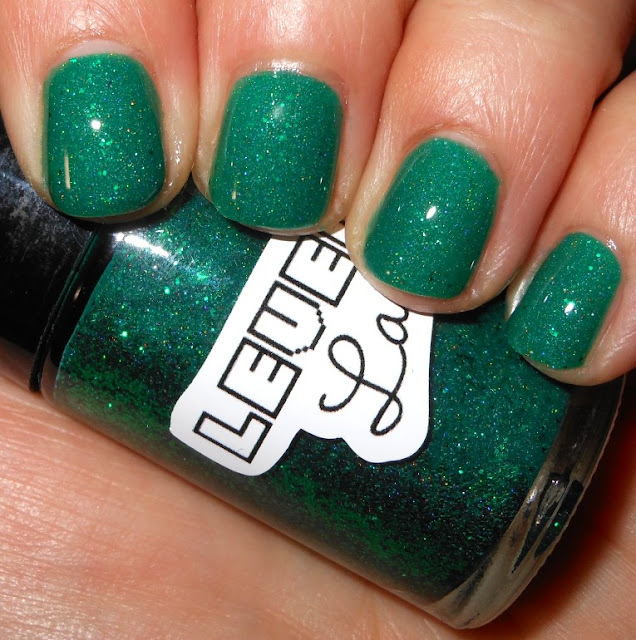 Overall: I really like this collection from LevelUP Lacquer. I love the beautiful rich shades and the jelly-like finish. The formula on almost all of these was superb and I enjoyed the look of all the shades color and finish wise. I think LevelUP Lacquer is on to great things and I'm happy to see an indie reinvent themselves!